Line Dahy Ernst and Thomas Høedholts small apartment is located in the heart of Denmark and has tastefully been refurbished by the two designers. The space is graphically pure and strongly simplistic. Dark kitchen cabinets contrast with rough plastered walls. 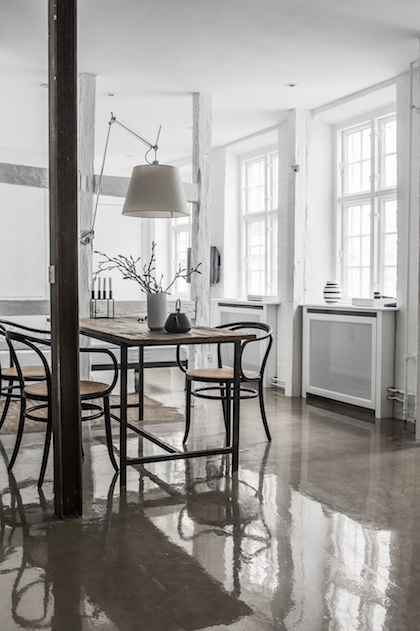 The stunning glossy concrete floors compliment the design features, and glisten with natural daylight. The kitchen is kept bare and simple: no overhead cabinets and a range hood that is concealed in the bulkhead. The matte doors have a beautiful handless feature. 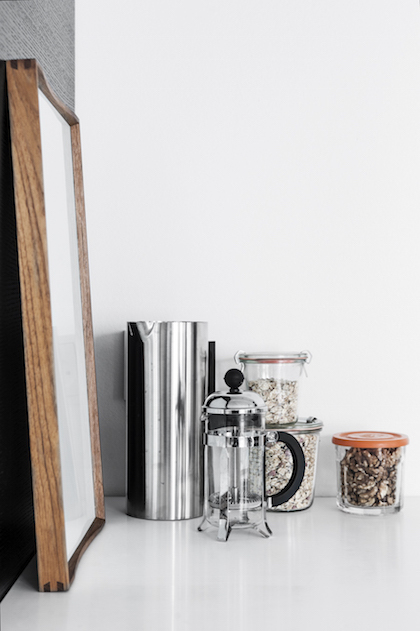 The kitchen is offset by beautiful Danish furniture.